Live Free or Die Hard. What a movie name? The movie was released as Die Hard 4.0. The successful instalment #4 in the Bruce Willis Franchisee – Die Hard is a complete Bruce Willis film. You know what you can expect here. And more importantly you are going to get that. The movie is fresh in terms of content (especially when released), focusing on our dependability on automated systems (mainly managed by the computers, for the better and perfect automated administration) may lead us to something like havoc. The incidents shown are looking more possible than the robots stuff (which seems distant possibility). Like Dan Brown’s novel – Digital Fortress – this movie explores the wold of computers (well, in a little different manner). Lieutenant John McClain, who like him to be called detective John McClain, a hero was living an isolated life. In his own words, by being hero you get nothing, sometimes you got a pet on your back and encouraging words but otherwise, your family members are also blaming you (rightfully according to their point of view) for not being with them or spending quality time with them. One day when he was spying on his own Daughter Lucy McClain (who likes herself to be called Lucy Gennero by the way) – as a genuine father who worries about his daughter’s well being and being in her company. He of course don’t like any bad company around her, which can harm her in any way. Though Lucy doesn’t like her father much (or especially around her, keeping an eye on her, trying to kind of keeping in touch of her, or hanging around her). When he was thinking the stuff in the police car, he was then ordered to pick a kid – from the neighbourhood and deliver him safely to the FBI. John insist that is about 3:00AM and any jr. officer could have been given the duty. But his superior insists him to do so. We got to know that the teen he have to bring to FBI is a computer hacker Mathew Farrell aka Matt. Actually tracing the outrage of some cyber security stuff FBI found that some of the top hackers are killed and hence they want somehow to save Matt. May be it can lead them to a conclusion about what is going to happen, who is the person behind the same and how to stop it. When John went to Matt’s home he was first denied co-operation from Matt. 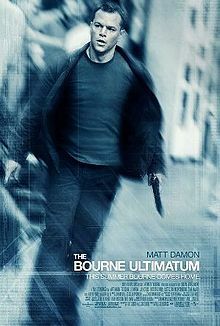 But then suddenly Matt’s home was attacked by a group of assassins and it was John due to whom Matt was able to survive. However after leaving Matt’s home also, they were being followed though McClain was able to overpower the assassin(s) and save Matt. McClain was having no idea about what happened. But he got to know from Matt, that he wrote code for a company for some large amount of money. (Which we later got to know that Thomas Gabriel was the one who own that company (and the main antagonist). Matt was contacted and paid by Mai Linh, who work for Gabriel. Though as Gabriel got to know that Matt is alive and is accompanied by a police officer named John McClain. He was already hacked into the traffic system (with his assistants) and able to create traffic chaos. So when McClain entered into Washington D.C. he was trapped in the traffic. Later the hackers got inside the communication system, power system, railway and air traffic, and got control of the satellites as well. McClain somehow able to get police escorts so he can deliver Matt safely and on time to the FBI headquarters. But as the system was already hacked and his communication with police and FBI was overheard by the antagonists, they were misguided on the police frequency. Somehow Matt was important for Gabriel (to be killed) hence he sent his men on that way. However McClain was able to escape from the trap (well, not without being wounded!) and ultimately reaches to the deputy director of FBI. A friend of McClain and believer in his abilities Cliff Curtis – the deputy director of FBI, got some time to talk to them, despite of his busy time. Not only entire city but almost country was under the terror, as a simulated explosion of U.S. Capitol building was aired on all the channels and the stuff requires his attention. Matt visions that this is the situation of fire sale. In the terms of hacking world it is a code name for a procedure where a hacker (or a group of cyber terrorist) able to take control of all the electronic services one by one. Later they can use the power grids to trip them, and the gas pipelines are also in the agenda. As most of these services are operated using computerized automated systems, this can lead to the ultimate chaos. As getting hold of all the transactions of stock market is possible as well, and panic in economy can be created. Also if all the bank accounts are taken control of, then all the money can be stolen! So it is kind of an electronic disaster. Cliff however was thinking that this is just a superstition and actually fire sale doesn’t exist – or possible to happen. His priorities are different at that time and disappointed Matt have to leave with McClain. McClain however tried getting more information about the stuff. He and Matt were attacked smartly by Gabriel’s group of assassins who came via a helicopter. McClain and Matt think that going through the tunnel was a great way to escape from the chopper. But the traffic from all the direction set to go through the tunnel via hacked system (by the antagonist) and it will be a miracle if they can survive. Will they be able to survive? Why Matt is the hope? What are Gabriel’s plans? Who is he? and why does he do this? All this can be answered by watching the movie. The action sequences and visual effects are delight to watch. Bruce Willis is definitely seems charged in the movie, as it is his franchisee (can’t you say that?). See his body language as a tired aged person (well, according to the records John McClain was born on 23rd May 1955), who had a not so good day. And check the same in his appearance as a determined cop, who can do anything to save his country. See his emotional attachment with his daughter and the limit he can go upto to save his daughter, and his motherland. On the other hand Justin long as the teen hacker portrays his character well, too. And as per the saying without a great villain the importance of a great hero cannot be justified. So the convincing act of the actors playing antagonists adds positive to the movie. See the cold blooded villain and his body language, the computer experts and the way they deal with the computers (and other gadgets) is really convincing. It must be said that all the actors did really nice work to get into the characters. Taking a few names like Maggie Q, Timothy Olyphant as positive aspects of film doesn’t reduce the importance of the others.The larger than the life action scenes and the emotional bonding (between father-daughter, friends, a cop-and a computer hacker, a villain and the hero) is perfectly portrayed. Background music is an additional positive point. Of course the movie have its low points as well. But who cares? You know what to expect from a Die Hard franchisee, and you gotta get that. That is enough. It is one of the highest grossing films of the year. Larry Rippenkroeger – the stunt double of Bruce Willis met with serious injury during the shoot. Die Hard 4.0 was the name thought because of cyber terrorism plot. The movie was also thought be called as Die Hard : Reset, but finally released as Live Free Or Die Hard.